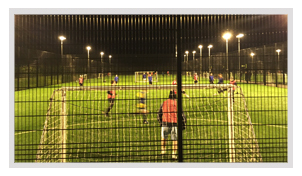 Located in the heart of London Colney with easy access for teams in the Hemel Hemstead and Watford areas is Cotlandswick leisure centre and home to the St Albans 5-a-side league. The Sports Centre facilities include parking, modern changing rooms and showers, but the real show-stopper is the amazing 3G pitch. 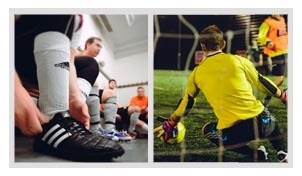 Played 3G pitches, teams experience our brand of competitive & social football. With multiple divisions, there's an ability level for you. So no matter what your standard, you can showcase those silky skills under the watchful eye of our FA qualified Refs. Finish top of your division and your team receives the prestigious trophy and individual medals. We've also taken the hassle out of running a team so literally all you have to do is and turn up and play. Add to that an App with admin system that you can manage your team and it's probably no surprise that we are London Colney's No1 league.